Baby Girl is anxious to go to a farm. Considering we are city living people, I suppose it's the novelty of it all. This started at a holiday dinner that one of my supervisors invited us to. He doesn’t have a farm, per se. But he has chickens, and goats and other animals. That is close enough for Baby Girl. Me, I really respect farmers. I'm a city kid. I know more about ant farms versus a real farm. Here's what I do know. Farmers wake up at a time that military people refer to as "O Dark 30". They spend countless hours taking care of animals and crops. Season after season, they put seeds in the ground. Those seedsturn into fruit, or veggies, or whatever else. From their section of the ground, they send out things to every section of the world. All of this, without ever meeting the people they help. I never met the farmer that grows the apples that Baby Girl and I use tomake apple pie. But because of those apples, baby girl and I have shared full tummies and special memories. What an impact. Alan Brunacini and Carl Holmes are very much farmers. Not that they grow apples, at least, I don't think so. I never met Brunacini, the famous inspirational fire chief from Phoenix, AZ. I only met Dr. Holmes, an African-American trailblazer in the fire service, once. I don't have the pictures that others have posted with them. I don't have stories of long conversations we had. But I have benefited from the fruit of their work. My first promotional test in the fire service had Brunacini's Fire Command book as one of the study items. Many of the people who have attended the Carl Holmes Executive Development Institute (EDI) continue to guide me in my fire service career. In both cases, my life and career are improved from a distance. What an impact. It is in 2017 that both of these men passed away. One could say that they went on to oversee the fire service from a different vantage point. A new command post. And just like an emergency incident, Bruno and Holmes will still have their impact felt into 2018, and beyond without us seeing them. From the leaders that have been nourished by their work. From the organizations that still stand to continue to provide a harvest.I hope to have that kind of impact for people I may never met. I am hopeful that I am planting seeds that will provide others with the guidance they need. At one time they may have seemed to be ordinary people, but fire service history will show Alan Brunacini and Carl Holmes had an extraordinary impact. As we know and as we said in numerous blogs thus far, we are functional athletes and because of this, we place a significant emphasis on core stability and strength. This is one of the main purposes of functional fitness. So where am I going with this? Well, what do elite athletes and military forces have i common?? They EMBRACE THE BURPEE!! So what exactly is a burpee? A burpee is a calorie-torching, strength-building, full body exercise that can also be done anytime anywhere. The best part, it’s all about speed. Tip: don’t start off fast, start slow and gradually build up a good pace. Now why should us as firefighters embrace the burpee? Here are a number of reasons to embrace the burpee. 1. Total body fat torching exercise that burn up to 50% more body fat than moderate exercise. 2. Speeds up your metabolism. This will help burn calories even after the workout is finished. 3. It is the ultimate example of functional fitness and a total body workout. Burpees will hit your chest, back, biceps, triceps, gluteus, quads, hamstrings and abs. 4. This is a great way to condition your body for overall health. Conditioning and endurance training is key for all firefighters to keep your body healthy and ready. Also, this will get your heart rate up quickly for conditioning and endurance. This is a 5set workout starting with 21 reps (in order) with a min rest then 15 reps and so forth and so on until all 5 sets are complete. Do a burpee in front of a pull up bar, then do a (jumping) pull up. As many as you can for time (time limit: 3min). Do a burpee and upon completion of the burpee do 1 push-up. Continue that sequence for 2min. 4. 100 burpee challenge. Aim for 100 burpees in 15min. Do as many as possible before taking a break then continue. Do 1 burpee then sprint 50yds and do another burpee. That’s one set. 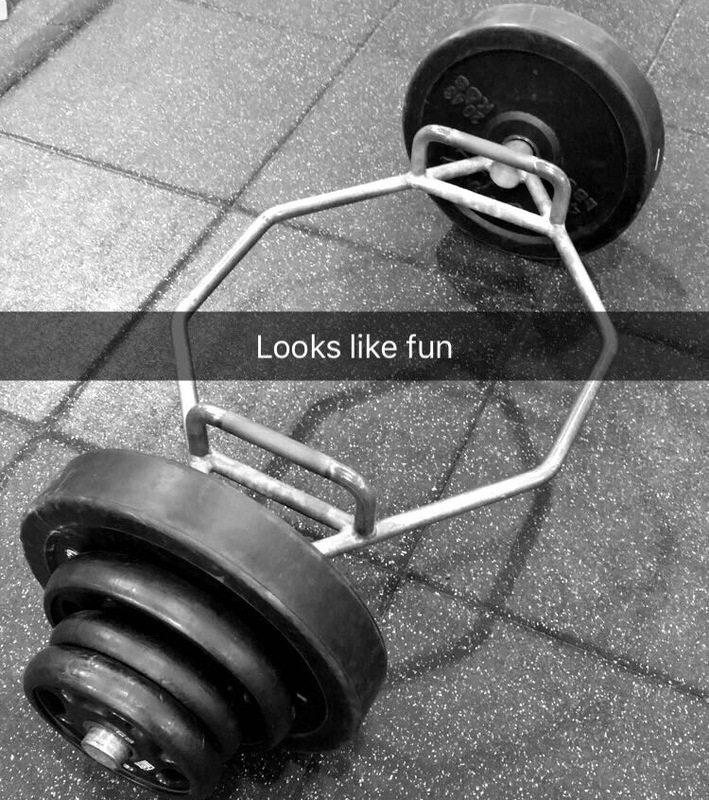 Do this for 5 sets. Rest 1 min between sets. Take these workouts to your firehouse, your home, anywhere and have fun with them. These workouts can also be a great team building exercise as well with multiple benefits all in one. NICHOLAS J. HIGGINS is a firefighter with 15 years in the fire service all within departments in Piscataway, NJ. Nick has held the ranks of Lieutenant and Captain as well as being a township elected District Fire Commissioner for 1 term (3 years) in Piscataway, NJ. He is also a NJ State certified level 2 fire instructor and currently a State of New Jersey Advocate for the National Fallen Firefighter’s Foundation. He holds a B.S. in Accounting from Kean University working in Corporate Taxation and is the founder/contributor of the Firehouse Tribune website.